These days are classic times for predicting something about next year in a blog post. 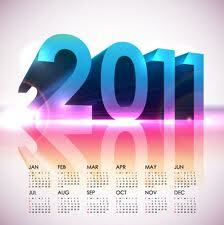 This year I will make some egocentric predictions about what I am going to do next year. Fortunately I think these activities are pretty representative for the trends in the data quality realm. These disciplines and the related software packages used to solve the challenges are constantly maturing and expanded to embrace the problems as a whole. Find more about the subject in my posts on Multi-Domain MDM. Working with external reference sources as a mean to improve data quality has been a focus area of mine for many years. Recent developments in governments releasing rich sources of data will help with availability here, but new challenges will also arise, like working with conformity across data sources coming from many different countries in many different ways. Much of the activity here will happen in the cloud. See my take on the subject on the page Data Quality 3.0 and read about a concrete implementation in instant Data Quality. Despite constant improvements with data quality tools and master data management solutions moving us from batch cleansing downstream to upstream prevention there will still be lots of reasons for doing downstream cleansing projects. Here are the top 5 reasons. I expect to be involved in at least one of each type next year. Next Article Now, where’s the undo button?